I am an Educational Psychologist in Kloof, conveniently within reach of the Hillcrest, Westville and Durban areas. My special interest is in learning and development throughout life and as such, I provide tailored services within early childhood (ages 0-4), education (age 4 – adulthood) and in career guidance. Since my early teens I have walked the line between being a “people person” and, at heart, a scientist. When I left school and chose my first set of university courses I embarked on a year of pure science, slogging it out in the lab over maths, physics and chemistry textbooks and test tubes. A year on and I realised that, while the scientist in me was satisfied, I needed to learn more about people and what makes us tick. And so, my foray into Psychology began as I entered my second year at University. I went on to complete my degree in both Chemistry and Psychology but felt that my passion lay in understanding the science of the mind. I went on to complete my Honours degree in Psychology and when it came to selecting which Masters degree to pursue, Educational Psychology was the logical choice. As an educational psychologist I would delve deeper into the mind, always with the scientific and biological (or neuropsychological) as my point of departure. 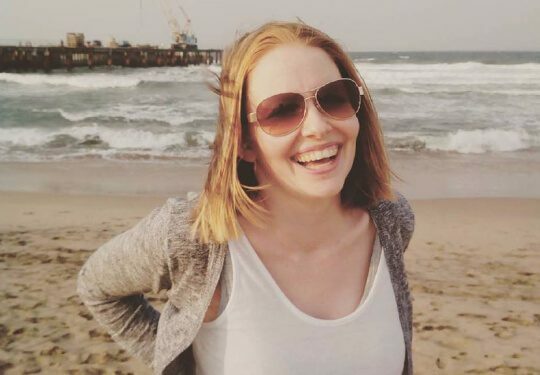 Since qualifying, I have worked for researchers in a neurorehabilitation hospital in Canada, explored psychology within the corporate world in Johannesburg and practiced as both a therapist and assessor in my own practice. In 2015 my husband and my lives changed with the birth of our first daughter and so my work changed direction. My interest in learning and development was further piqued as I watched this amazing and precious little mind open up and expand. I began to focus on Assessment: investigating, understanding and diagnosing barriers to learning and development, and exploring development throughout the lifespan. With the birth of our second daughter in 2017, my focus evened out with a more equitable split between educational and early childhood developmental work. My passion I have realised is understanding the brain and not only how it works, but how it develops. What takes a brain from a mass of loosely connected cells to a highly efficient, massively complex information processing power house? And if we know how this development happens, how do we optimise it? On this site you will find a variety of service offerings, educational assessment, career assessment, developmental assessment, play therapy in young children. All are informed by the understanding that the body and mind are one thing and that to develop, we must understand the brain and the mind and then harness its power.